Height: ft 0 1 2 3 4 5 6 7 8 9 10 11 in. Width: ft 0 1 2 3 4 5 6 7 8 9 10 11 in. 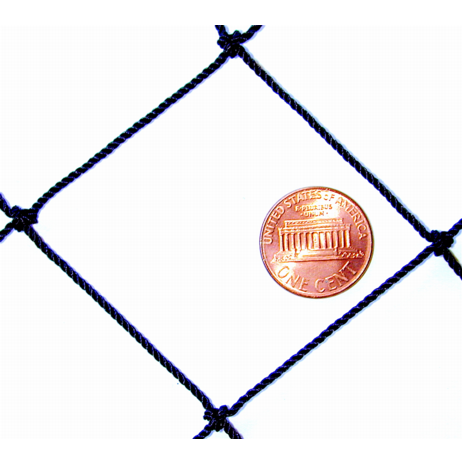 The following netting panels are in stock and ship within one business day, we offer small sections of nylon netting with no border ropes as well as PolyPro netting panels in both Golf and Baseball sizes that have rope borders on edges. 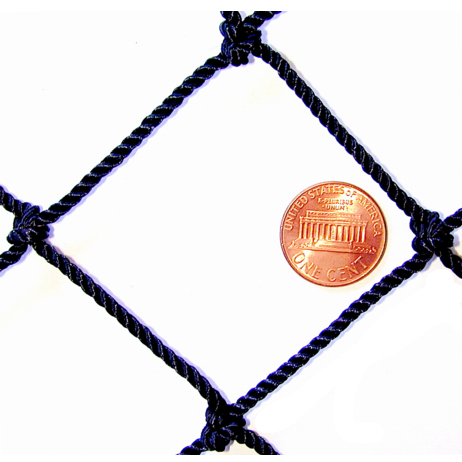 Click the button found below for more information and to purchase pre made netting panels. Size: 0' 0" wide x 0' 0" high Total: 0 sq ft. Typical uses for 3/4" Mesh netting are: Golf Netting, Golf Netting Panels, Golf Cages, Debris, Aviary, Bird Exclusion and General Multi-Purpose Applications. Typical uses for 3/4" Mesh netting are: Golf Netting, Golf Netting Panels, Golf Impact, Golf Cages, Debris, Aviary, and General Multi-Purpose Applications. 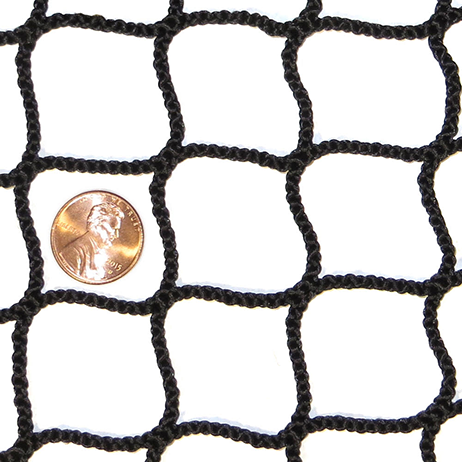 Typical uses for 7/8" Mesh netting are: Golf Barrier (not impact), Lacrosse Impact/Barrier, Hockey Impact/Barrier, Fairway Protection, Pond/Leaf Barrier, Aviary, Trash/Debris Containment, and General Multi-Purpose Applications. 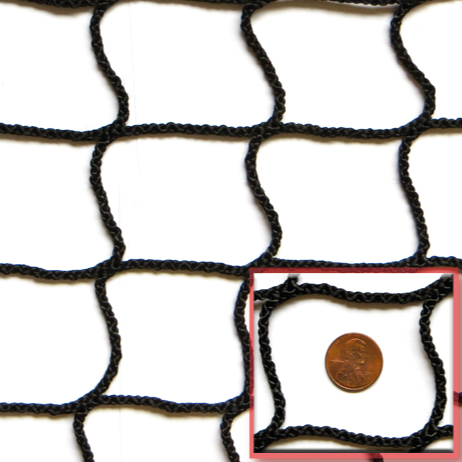 Typical uses for 1" Mesh netting are: Golf Barrier (not impact), Lacrosse Impact/Barrier, Hockey Impact/Barrier, Fairway Protection, Pond/Leaf Barrier, Aviary, Trash/Debris Containment, and General Multi-Purpose Applications. Typical uses for 1-3/4" Mesh netting are: Baseball Batting Cages, Baseball Impact Netting, Softball, Soccer, Hockey Barrier (not impact), Football, Basketball Barrier, Deer Fence, Debris, Aviary, Bird Exclusion and General Multi-Purpose Applications. Typical uses for 1-3/4" Mesh netting are: Baseball Batting Cages, Baseball Impact Netting, Softball, Soccer, Hockey Barrier (not impact), Football, Basketball Barrier, Deer Fence, Debris, Aviary, and General Multi-Purpose Applications. Typical uses for 1-3/4" Mesh netting are: Baseball Batting Cages, Baseball Impact Netting, Softball, Soccer, Hockey Barrier (not impact), Football, Basketball Barrier, Debris, Aviary, and General Multi-Purpose Applications. Typical uses for 4" Mesh netting are: Deer Fence, Soccer Netting, Basketball Barrier Netting, Volleyball Netting, Dodgeball Nets, Agricultural and Garden Netting, and General Multi-Purpose Applications. 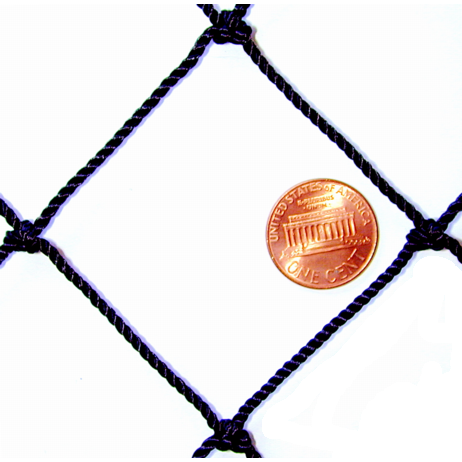 Typical uses for 4" Mesh netting are: Soccer Netting, Basketball Barrier Netting, Volleyball Netting, Dodgeball Nets, Deer Fence, Agricultural and Garden Netting, and General Multi-Purpose Applications. Typical uses for 2" Mesh netting are: Soccer Barrier, Basketball Barrier, Football Impact/Barrier, Volleyball Containment, and General Multi-Purpose Applications. Note: 2" is too large for baseball/tennis impact (but OK for long distance barrier). You need to make a selection! Mesh Type: Aesthetically Diamond Mesh looks like a succession of diamonds and Square Mesh looks like a succession of squares.Industrial Fabric is not considered square or diamond it is a sheet of fabric mostly for industrial use. 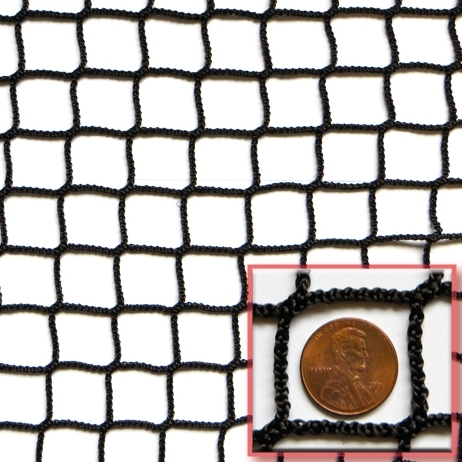 Square mesh netting will naturally hang straight and to exact dimensions without a border installed. 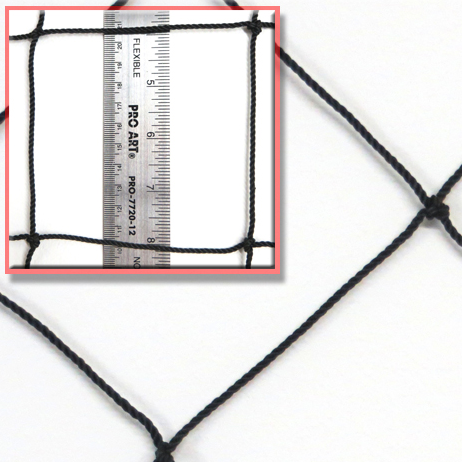 Net Perimeter Border: Here you have the option to add perimeter borders to the net. 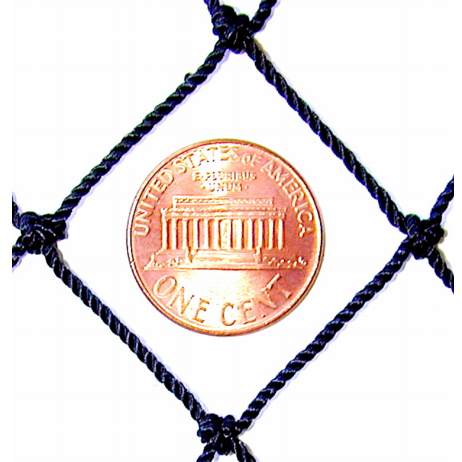 Different options are available depending on which netting type you choose. 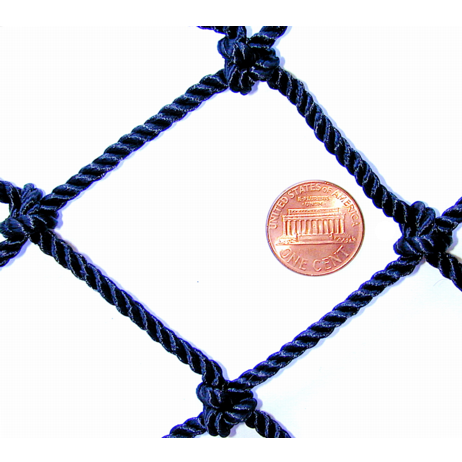 If you choose “Add Rope Border” we will attach 5/16" Dacron border ropes on all four sides of the net. Industrial fabrics my use smaller rope. Choosing perimeter borders makes the installation easier. 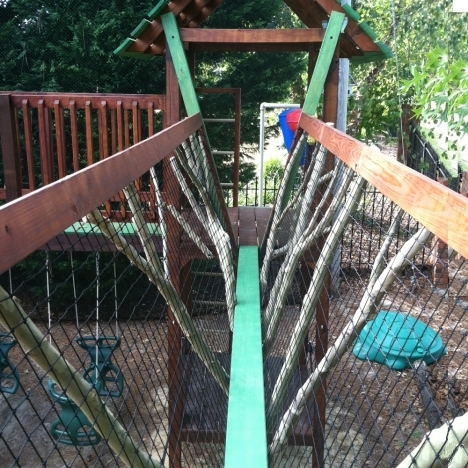 Steel Poles are a great way to install nets and cages. 0 x 0' Poles ($0.00 per panel) Steel Poles are usually spaced about 10' apart, when using lighter #12 netting or larger 4" mesh poles can be spaced a little further apart. 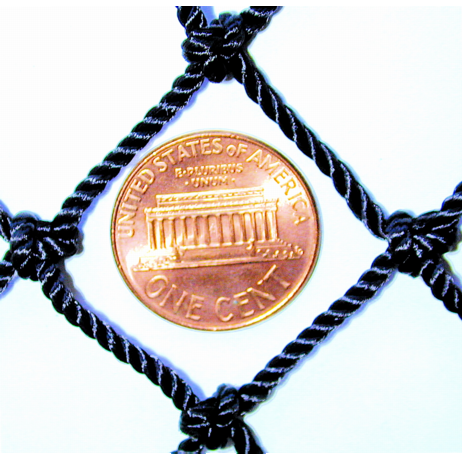 Custom Nets with no borders usually ship in 1-2 business days. 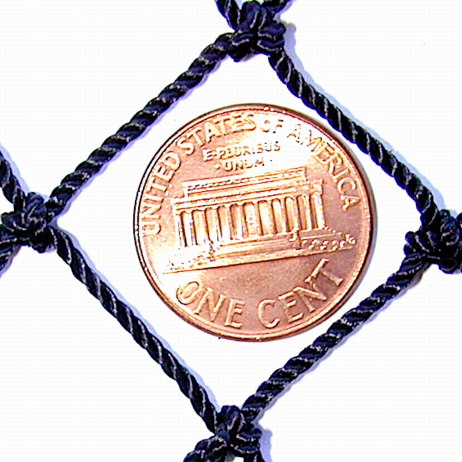 Custom Nets with borders usually ship in 3-7 business days. For nearly 300 years Gourock has been the leader in supplying custom Netting and Rope projects, commercial sport facilities, colleges, universities, city municipalities & schools, recreation departments, and residential installations. From large-scale commercial needs to small private/residential projects, we can supply your custom netting built to the sizing you need. 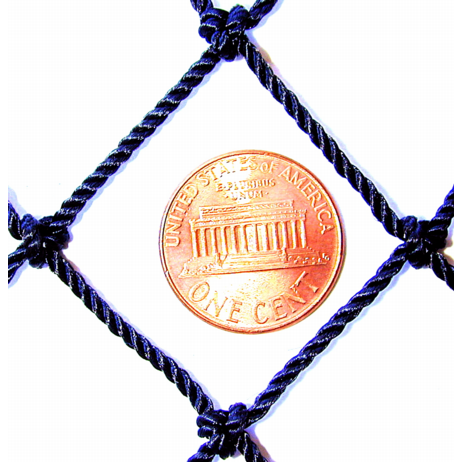 We only use the best quality materials, DuPont® Type 66-728 Twisted-Knotted Nylon, as well as premium construction materials like Dacron® ropes and nylon tying twine. Hand-built and 100% USA Made. Custom netting is our speciality, with several durable options to consider for your netting project and needs. 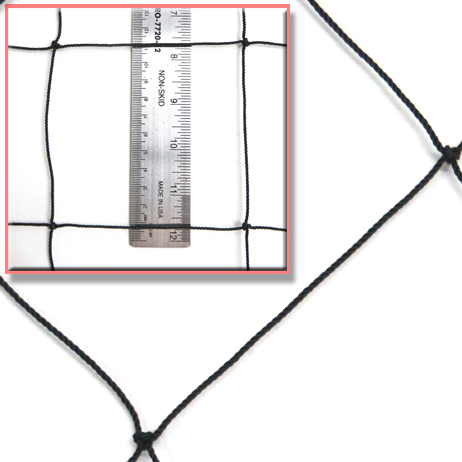 Each netting product has a unique set of features and characteristics, providing you with several possibilities and solutions. Custom Netting Panels can be quoted using the Online Netting Calculator above or you can Contact Us to submit your dimensions and netting requests, or forward over drawings and diagrams for more complex jobs. We also offer debris fabric and shade cloth material for multipurpose debris containment and barrier uses.